The Vehicle Donation Program receives donated vehicles: cars, motorcycles, trucks, boats, motor homes, travel trailers, and aircraft to sell on our virtual lot (e.g. Peddler) or at live auction. Proceeds from the sale supports VOA Oregon’s mission of changing lives by promoting self-determination, building strong communities and standing for social justice. Vehicles are picked up free of charge and inspected to determine how to maximize the value of each donation. Our program has served the Oregon community for over 25 years, and our experienced team provides a high level of customer satisfaction. The process is simple, hassle-free, and convenient. Questions? We can help. Contact Carol Tatch at 503-595-2001 or ctatch@voaor.org for Vehicle Donations. We are here to help facilitate your donation every step of the way! Q: Why should I donate my vehicle to Volunteers of America Oregon? You'll be spared the ordeal of trying to sell your vehicle.. The funds from the sale of your vehicle stay right here in Oregon to help neighbors in need through VOA Oregon 's 24 programs and services. Q: What percentage of the proceeds from the sale of my vehicle will go to VOA? A: Your vehicle will be inspected to determine its best possible use, and whether its maximum value will be gained through our wholesale, retail, or recycling channels.The money earned goes towards our programs that address domestic abuse, addiction, post-incarceration community re-entry, child abuse prevention, elder care, and other programs to lift up the most vulnerable in our community. Q: Does my car have to be running to donate it? Q: What types of vehicles are accepted? A: All kinds! Cars, trucks, boats, motor homes, travel trailers, motorcycles, and aircraft, to name a few. We have even received and sold a fire engine! Q: Will you come pick up my vehicle? What is your tow range? A: We pick up donations from Portland to Eugene and the surrounding metro areas. There is never a towing charge to the donor. A: As long as the vehicle is located in our area, we can process a donation with an out-of-state title and we can accept vehicles from almost any state. Q: I've heard that some for-profit companies are disguising themselves behind non-profit-sounding names. How can I be sure that I'm donating my car to a legitimate charity? A: Volunteers of America Oregon is one of the oldest non-profits in the state, helping those who need us most since 1896. 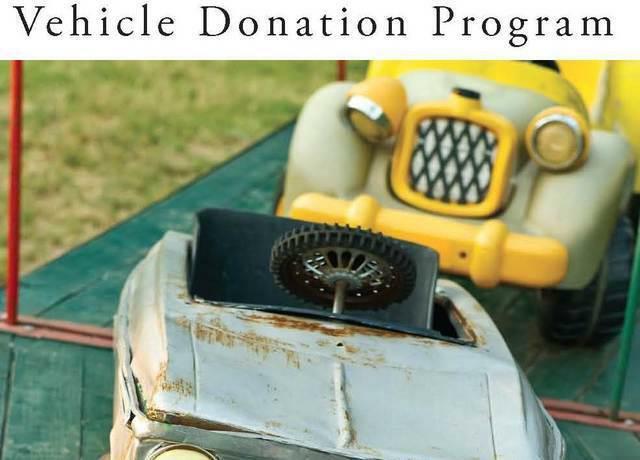 We operate our own Vehicle Donations program. Find out more about us at Guidestar, which gives VOA Oregon its Guidestar Exchange Seal for our commitment to transparency. Q. What is our DMV Dealer Number?